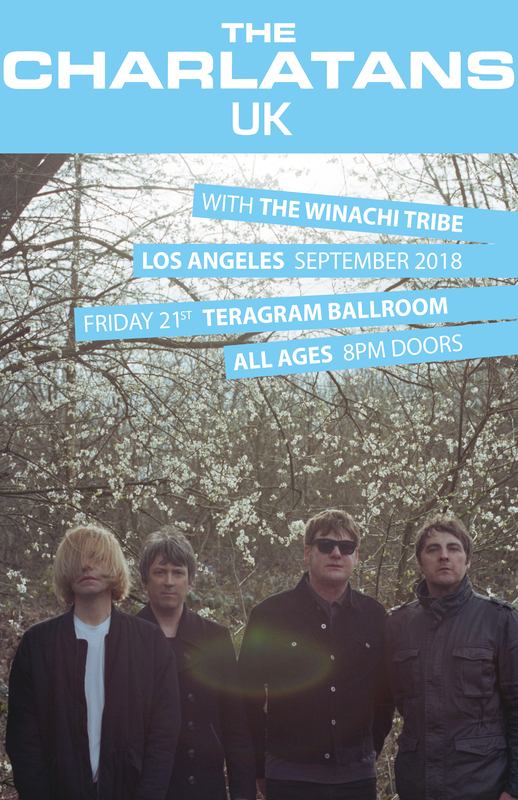 Warrington’s critically acclaimed Electro Funk Collective The Winachi Tribe continue their California takeover with a second U.S tour of 2018, including a date with iconic north-west band, The Charlatans. The band who made their debut headline tour of the states in March before taking part in WArringtonMusic.co.uk’s sold-out #5YearsOfWAM event are to head back over this September (13th-24th) for a number of high profile dates and industry showcases. 2018 has been a landmark year for the Tribe, a year which has already seen the group tour California (with headline dates in Hollywood, North Hollywood, San Francisco, Huntington Beach, Chatsworth L.A & USC University). Headlining their own 25 date U.K tour plus the release of critically acclaimed single ‘TRANSITION‘ which has gone on to pick up an official ‘Grammy Entry’ and be play-listed on major global radio stations such as ‘KCRW’ ‘KEXP’ ‘Billboard China’ & ‘BBC Introducing’. Their momentum on both sides of the Atlantic seems to be genuinely unstoppable…2018 has been big…2019 is set to be HUGE!